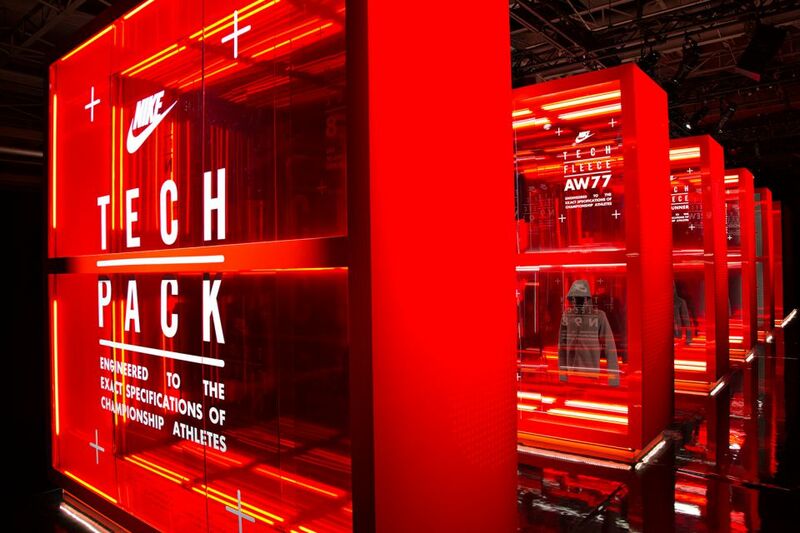 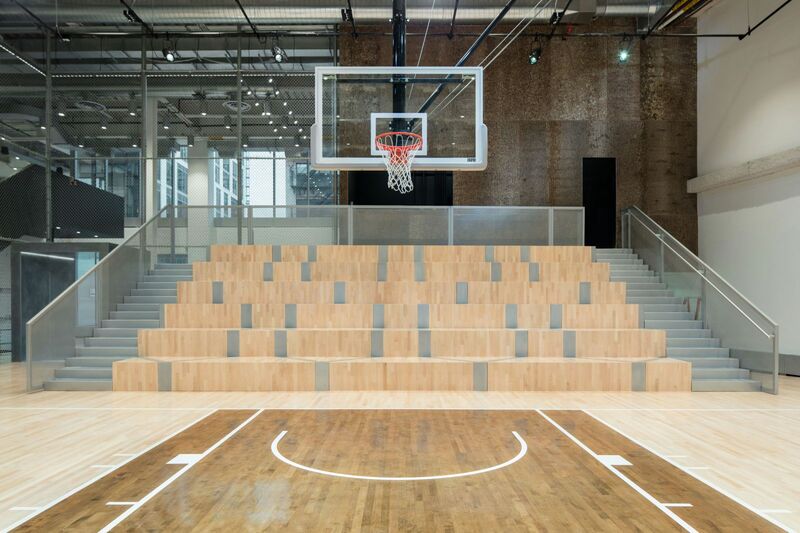 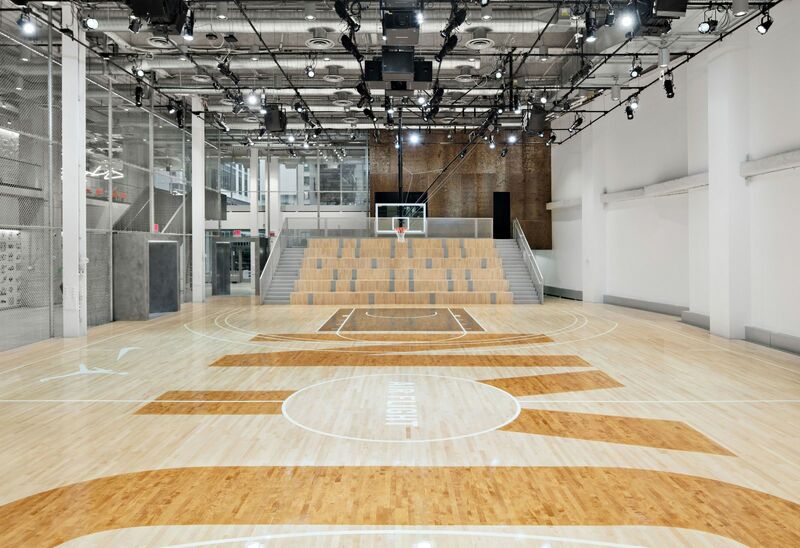 Taking inspiration from basketball nets and the chainlink fence pattern commonly found around basketball courts in New York, the design for the custom bleacher inside Nike's New York Headquarters is both a graphic statement and a clear structural expression. 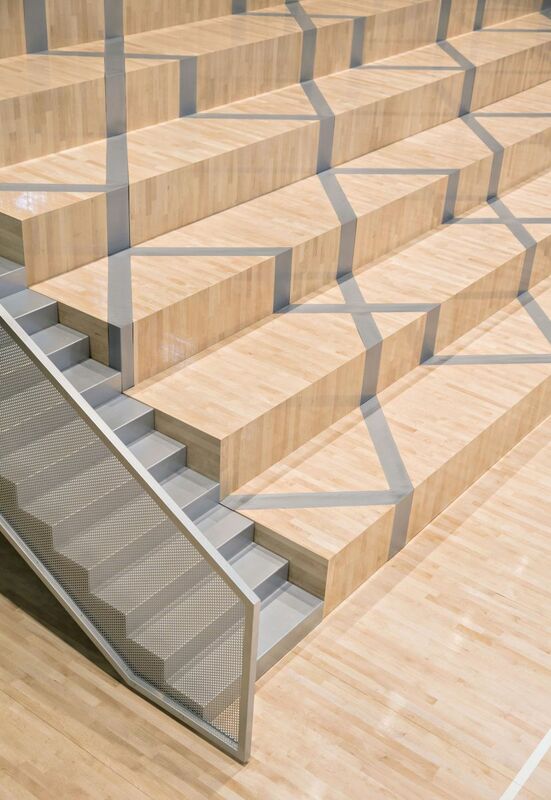 The structure consists of interlocking aluminum diamond shaped stringers with inlaid maple court-wood treads and risers. 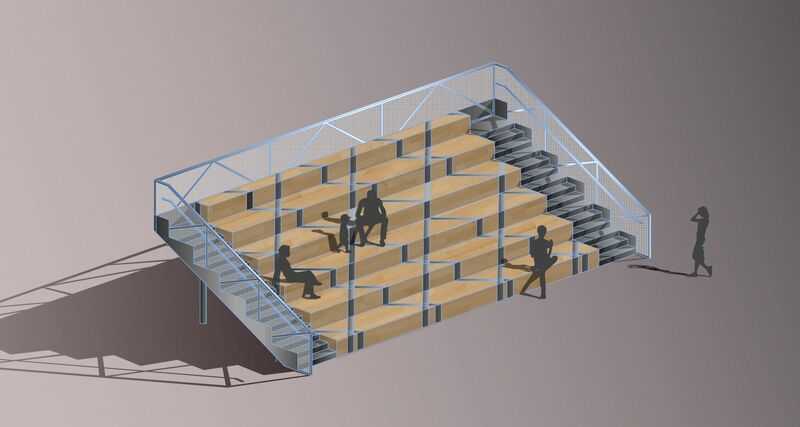 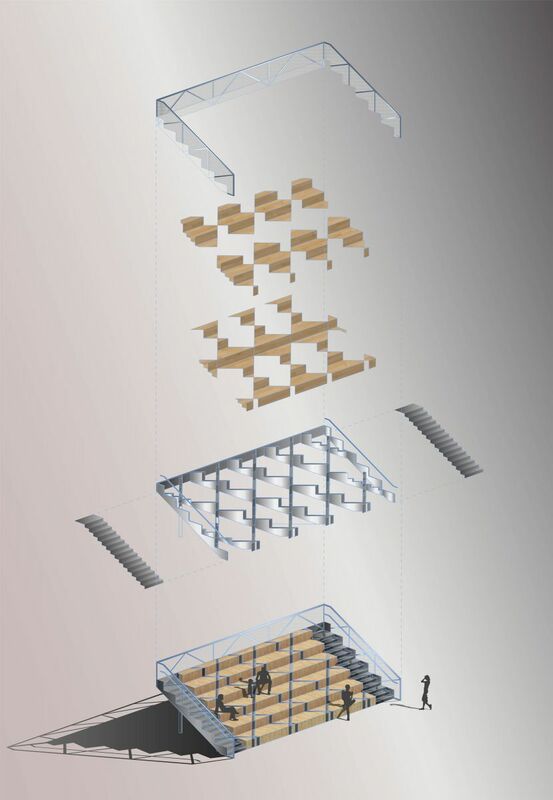 As visitors move on and around the bleacher, the pattern of the structure constantly changes and produces an animated quality. 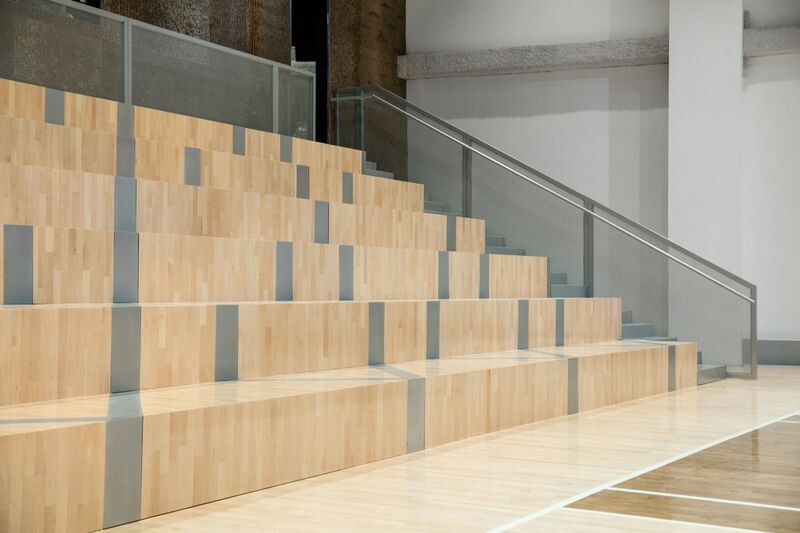 As an abstraction of a large tree and a reference to the pacific northwest, Nike's home, a large bark-wall extends floor to ceiling and is made from real unrolled and panelized tree-bark. 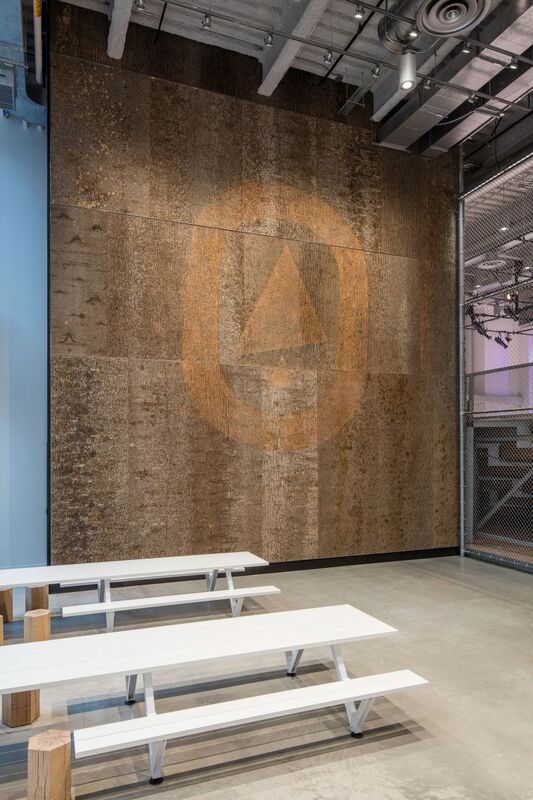 A play on the idea of carving a name into a tree, a huge logo was milled into the tree bark after completion. 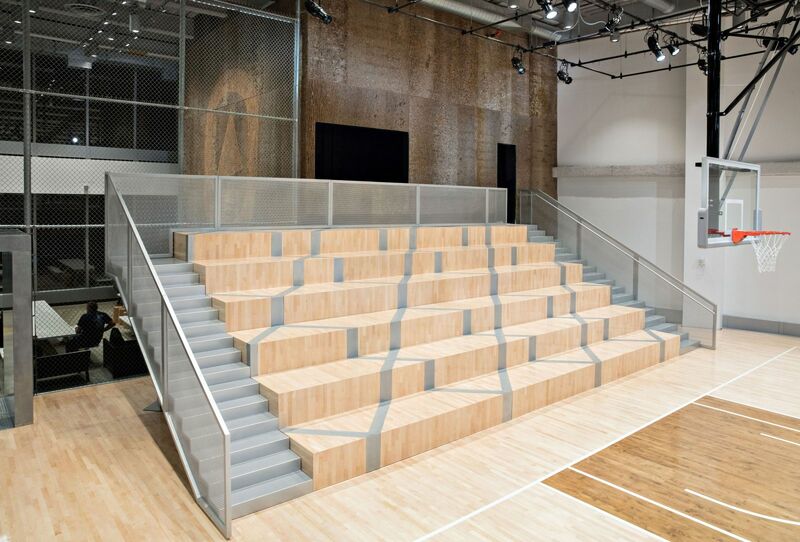 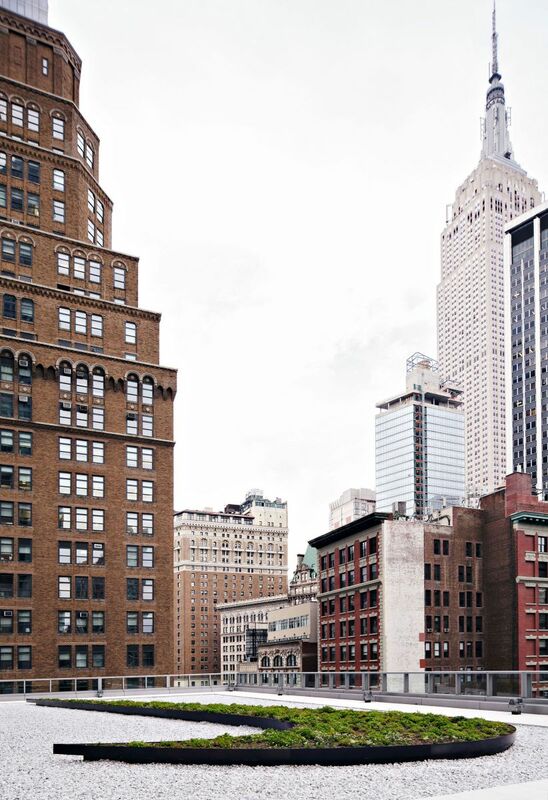 Contractor: JT Magan & Company Inc.